As our first Trese Brother's KickStarter is launched, we are excited to have the press and community gathering around us and helping to promote our cause. We encourage our community and gamers to do the same -- please tell everyone who might be interested in a old-school, turn-based fantasy RPG on their phone or tablet about the Heroes of Steel project! We hope you'll help us share and share more! 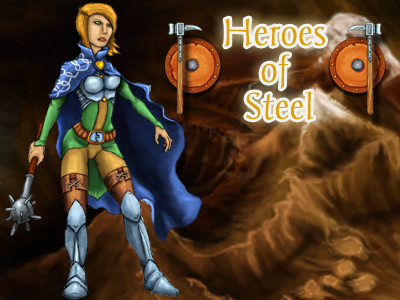 A KickStarter project like Heroes of Steel will only succeed by helping to get the word out, and we are relying on you to help us make it happen!